The Tactical Blur features a 3 3/8" part serrated 440A stainless steel modified tanto blade with black Tungsten DLC coat, dual thumb studs for ambidextrous one hand opening, and Speed-Safe assist. The lightweight 6061T6 aluminum handle has a black anodized finish, aggressively textured Trac-Tec inserts for secure grip, liner lock, lanyard hole and end to end reversible pocket clip. 4 1/2" closed. I liked the overall look of this knife but didn't want to pay near $70 till I saw and held one at a knife show($99.99 was the price there). For starters when kershaw claims you can shave with this knife they are not kidding one bit. light weight and built very well with trac-tec on the aluminum handle and the feel I thought it was plastic till I took another feel. I'm in iron construction and this knife has been on my side for four months now and after what I put it through I'm amazed to say it doesn't even need to be sharpened, just have to get the metal shavings out of the pivot point. In short it's the toughest and sharpest folder I have ever owned and made in the U.S.A. 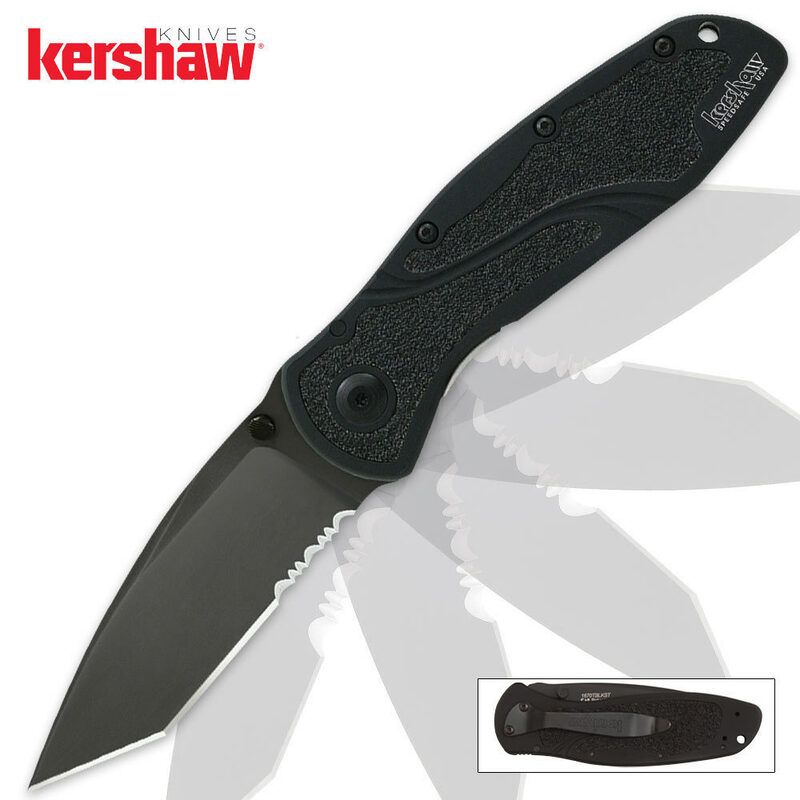 I never heard much about kershaw before but I am sold. Look around all you want but it's a real challenge to beat BUDK's price's.